Ammonia (NH3) is a highly irritant, alkaline gas. Atmospheric emission of NH3 was recognized as an environmental challenge. 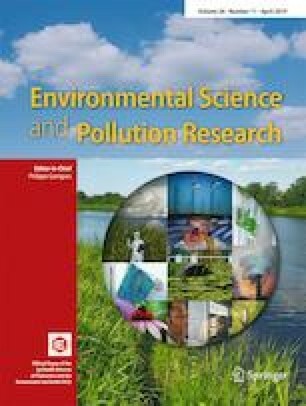 As a global issue, the NH3 emission survey with spatially detailed information demonstrated that the sources of atmospheric NH3 include agriculture (livestock wastes, fertilizers) and some industrial activities. As an environmental pollution, excessive NH3 exposure can induce many bird dysfunction. Neutrophils respond to multiple invading pathogens through different mechanisms. In order to investigate the effect of NH3 exposure on broilers’ neutrophil, 1-day-old broilers were treated with/without NH3 for 28 days. We extracted neutrophils from peripheral blood of chicken with/without NH3 exposure and subsequently stimulated with PMA. Changes of cytokines and inflammatory bodies, heat shock proteins (HSPs), and glucose metabolism of neutrophil were examined in both cases. We not only explored that the index associated with inflammation changed due to NH3 exposure but also observed the status of neutrophils which was treated with PMA stimulation. After NH3 exposure, IL-1β and IL-6 were significantly increased on broilers neutrophil. Inflammatory-related factors (NLRP3, ASC, and caspase-1) were significantly elevated. The mRNA expression of HSP70 and HSP90 was increased significantly. All glucose metabolism indicators were reduced. In summary, we concluded that NH3 enhanced inflammation and disrupted glucose metabolism, and increased the expression of HSPs and inflammatory factors. In addition, the sensitivity of neutrophils to exogenous stimuli was diminished. This information can not only be used to evaluate the damage of NH3-spiked neutrophils to chickens, but also provide clues for human health pathophysiology caused by excess NH3, providing valuable information for NH3 risk management. The authors extend their sincere thanks to the members of the veterinary internal medicine laboratory and key Laboratory for Laboratory Animals and Comparative Medicine at the College of Veterinary Medicine, Northeast Agricultural University for their help in collecting the samples. This work was supported by the National Key Research and Development Program of China (No. 2016YFD0500501). All of the authors have read and approved the paper and it has neither been published previously nor is it being considered by any other peer-reviewed journal. The experiments were approved by the Institutional Animal Care and Use Committee of the Northeast Agricultural University (SRM-06).